Yep, you heard right. It’s a white chocolate brownie. I’ve already made Wownies (see my White Chocolate Oreo Bars), but I just haven’t dubbed them until today. Well, wait no more. Consider the Wownie a named treat! And this time, I’ve filled them with seasonal candy corn goodness. 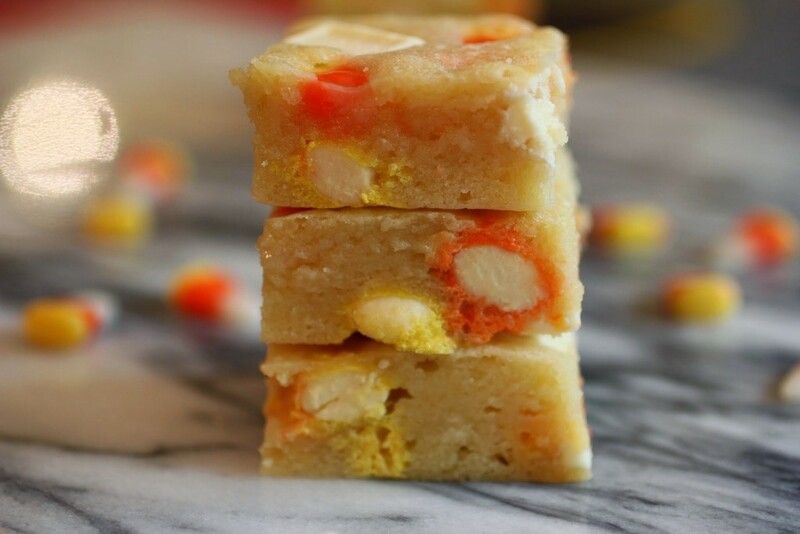 Not just candy corn itself, but Hershey candy corn bars and candy corn M & Ms (which are really just white chocolate in cool candy corn colors, but whatevs). It’s sugar upon sugar. Sweet upon sweet. And boy, is it good! 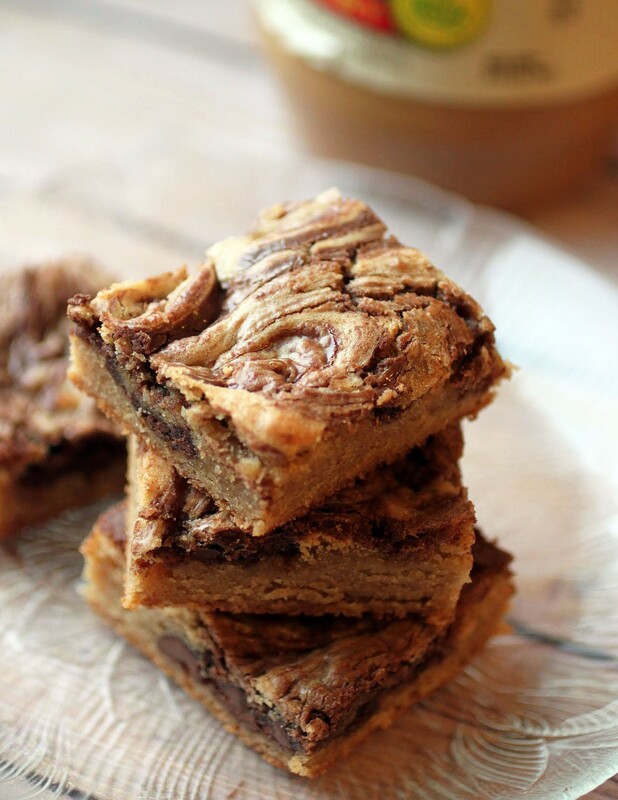 These bars have that perfect brownie consistency, but no actual chocolate. No, white chocolate is not chocolate. I love it anyway, though. This is a one-bowl, no mixer required recipe. And if you can’t find all the candy corn stuff, just fill them with what suits you! I just couldn’t resist all the orange and yellow right now. And for those of you who are getting sick of my pumpkin/candy corn/apple phase, I am going back to form and posting a very indulgent PB and chocolate recipe Wednesday. But for now, enjoy the Wownies! And remember: they were named here first! Preheat the oven to 350. Spray an 8 x 8 pan with cooking spray. 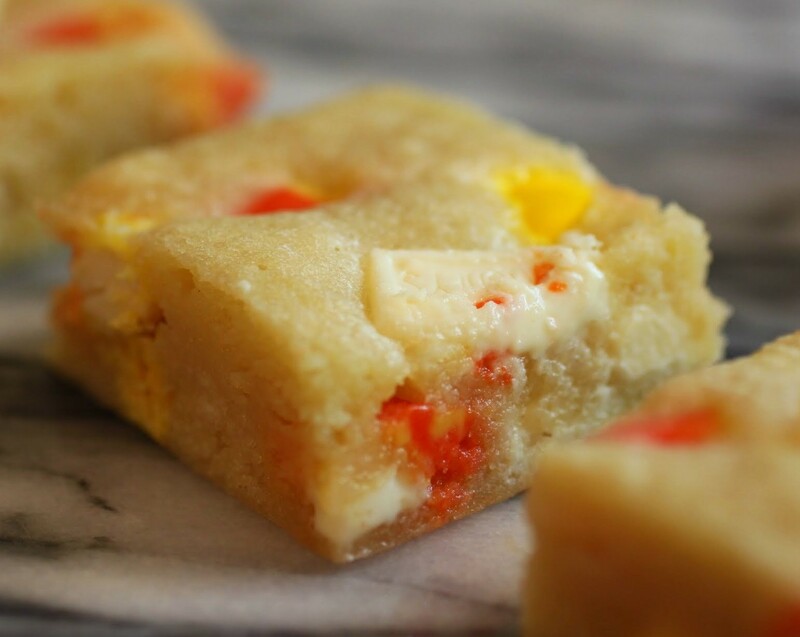 In a microwave-safe bowl, melt the butter and white chocolate chips for 1 minute. Stir until smooth, microwaving in 20-second intervals if needed to melt the chocolate. Do not overheat or the white chocolate will seize up and become unworkable. Stir in the eggs, sugar and vanilla until fully incorporated. Mix in the flour and stir again. 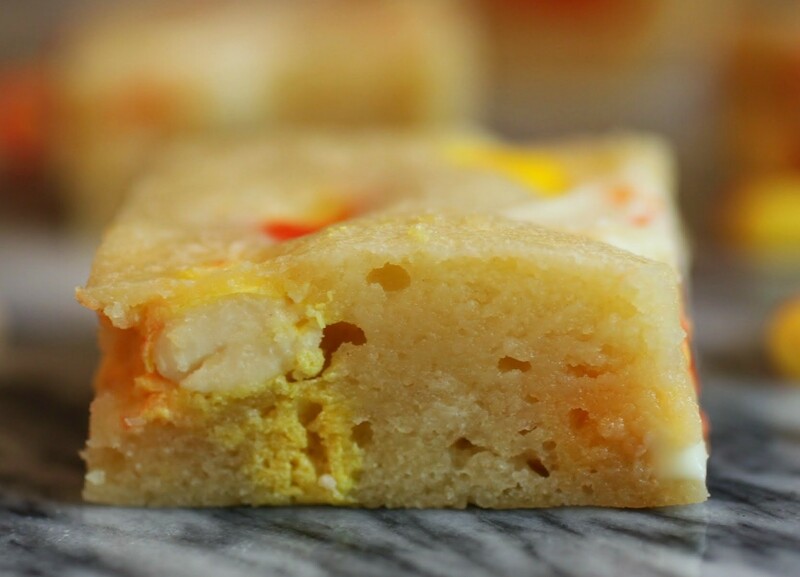 Fold all three kinds of candy into the batter, reserving a few pieces of each to press into the top. Pour the batter into the prepared pan and put the reserved candy on top. Bake for 20-25 minutes until golden and set. Cool and cut into squares. No healthy recipe today! Not for you. It’s Friday. You dig? The problem is, if you only eat healthy foods all the time, sooner or later you’ll face-dive right into a vat of Reese’s and just not be able to stop. It’s human nature. Deprivation is not the way. Take that, Hollywood celebrities who pay people to whip up healthy cuisine 24/7! If you want chocolate, eat it. If you want kale, eat it. See how that works? And eat when you’re hungry, and stop when you’re not. Pretty basic philosophy, and it allows you to eat bars like this when the mood strikes. These are phenomenal. Mir, I love the idea of a Wownie! I discovered those candy corn M&M’s last year and haven’t quite trusted myself to buy a bag this year. At least not yet… Loving all the bright fall colors in these! Thanks, Heather! Honestly, between you and me, they’re not my favorite M & Ms. But they sure are cute! Dessert mashups are always the best! This wownie look incredible! 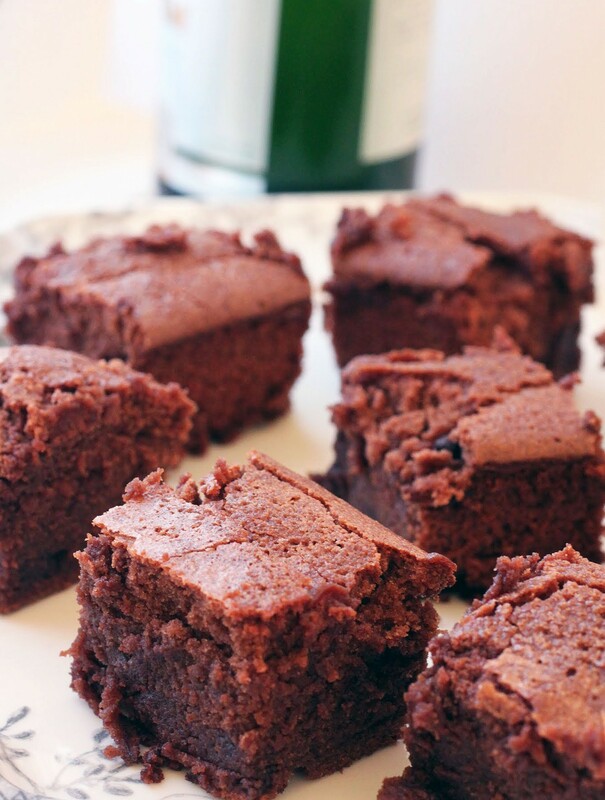 I am such a huge fan of anything with white chocolate, so I’m loving this mixed up brownie. 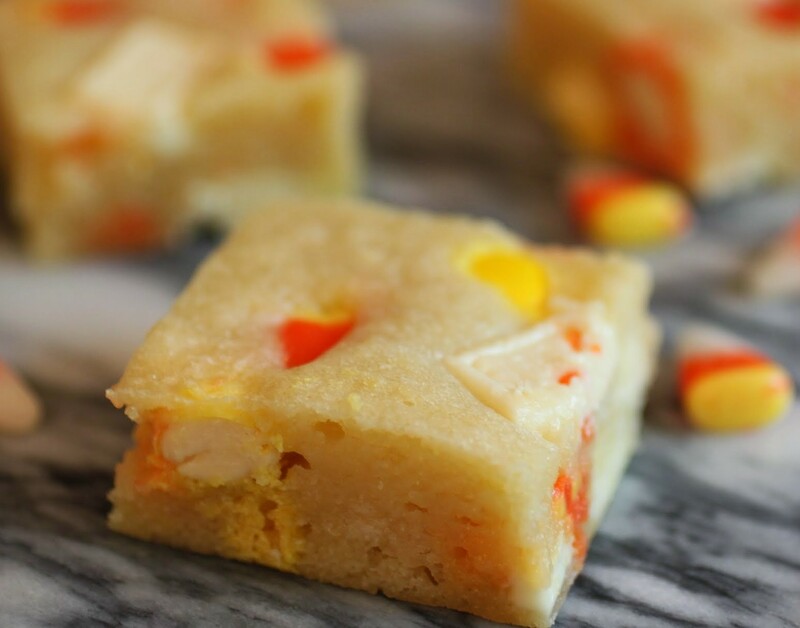 I also love one bowl desserts, and those candy corn M&Ms are just calling my name! Delish! It’s super easy to do, Gayle, and you can customize your fillings. They’re super white chocolate intense! Thanks so much, Renee! My kids had too much fun with them. Then I had a massive sugar high situation on my hands while they bounced off the walls. Worth it! I love food hybrids too, but I still haven’t tried a cronut. Can you believe it!? I can believe it! Try it at some point to see how you feel. I did, and it was fine. But honestly, they also kind of scare me. Thanks, Manali! I’m a bit too proud of the name! I definitely love food hybrids too.. wownies sound just like my kind of dessert! 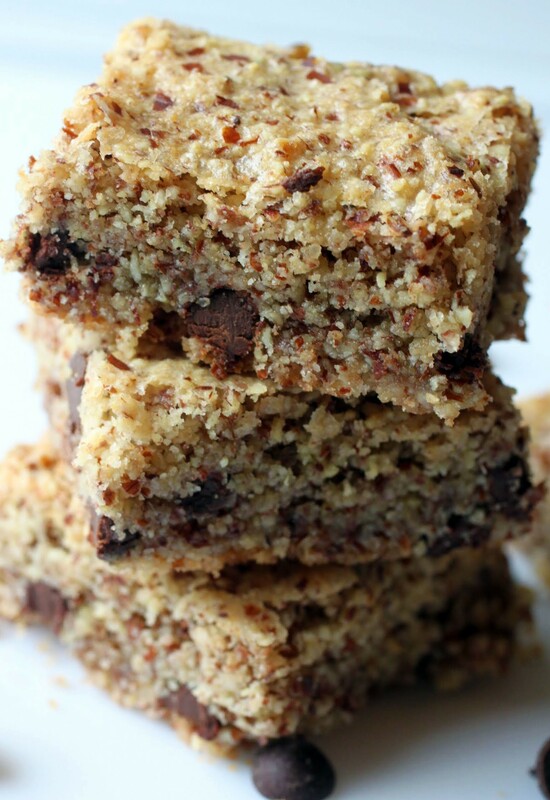 Love these, there’s nothing better than a one bowl dessert recipe! I agree, Danielle! I don’t know why, but using my mixer always seems like work, even though it’s my favorite kitchen gadget! Haha, I love the Wownie!! And also, the bronut is awesome! 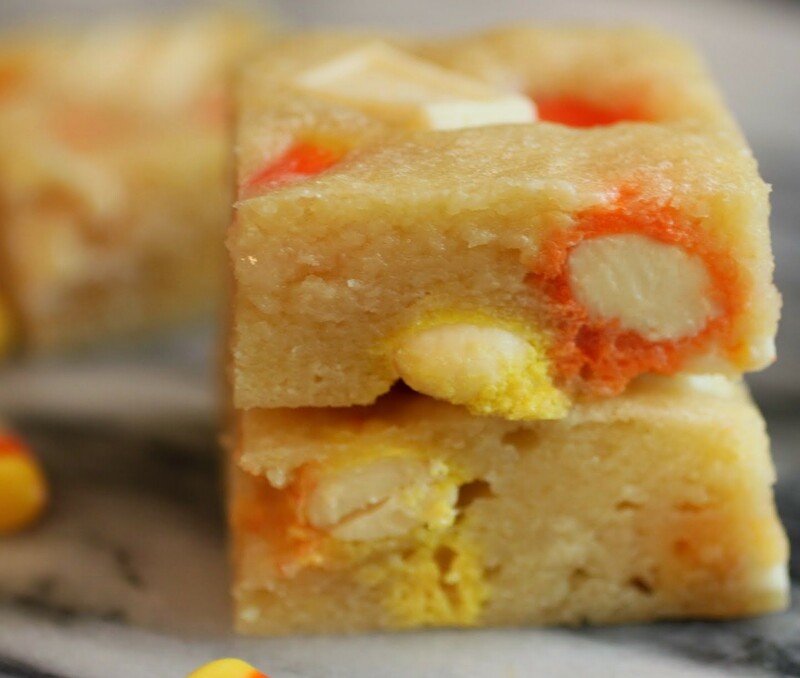 I’ve always loved white chocolate and the marriage of brownies and white chocolate sounds like a match made in heaven! And then to add candy corn just takes it over the edge!! Thanks so much! I really need to get on the bronut. What could be bad about that, right? I’m super in love with these Wownies! 🙂 Great name for a great dessert! Yum! Thanks, Jocelyn! I get very excited about anything with candy corn. Whaaaat. The bronut … girl, now that is money. Haha, these wownies have my heart and funny bone wrapped around their little fingers! 🙂 So cute and seriously, sugar upon sugar is the only way to go! I’m gonna make the bronuts this week, Mary Frances! I’m excited about it. Okay, I tried these and even cooked them for 15 minutes longer than recommended and the middle was still gooey (as in, inedibly gooey). Any suggestions for how to avoid that next time? I used the correct pan size, and I even used real butter and eggs, which I usually don’t do. I need more information to answer your question. Did the chocolate melt in normally? Was everything else exactly as the recipe was written? I’ve never had an issue with these being gooey before, so backtrack and I’ll try and figure it out! You had me at candy corn! These look so good! I need some wownies in my life ASAP!!! Thanks, Jen! Wownies do improve life quality!